Some restaurants you go for the food. Not these, though. You patron these because they're interesting, unique, or down right odd. With the Tokyo Game Show kicking off next month, now might be as good a time as any to look at some, certainly not all, of Tokyo's most peculiar restaurants and bars. Some of these Kotaku has featured before. Some of them you might even know or perhaps you have visited. Maybe not. 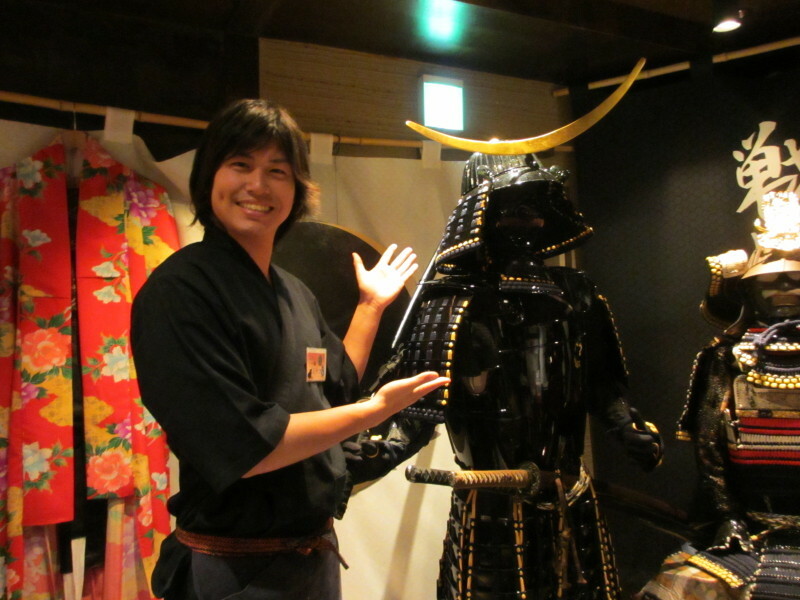 In a city as big as Tokyo, there are certainly more, but here are places famous for the experience they offer. 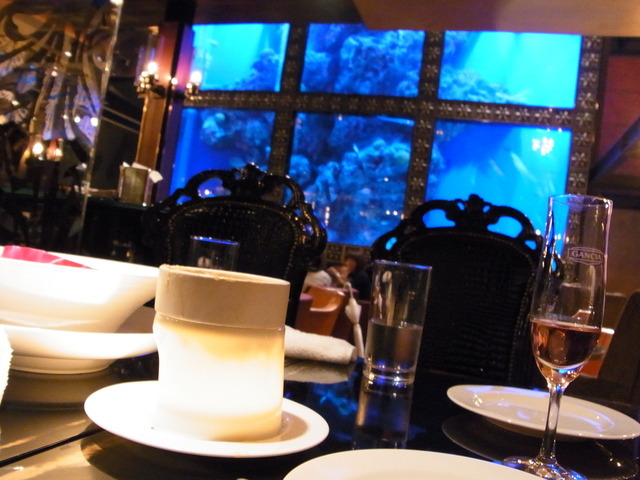 And remember, these are retaurants and bars that people in Japan find rather unusual, too. They differ greatly from your typical eating out experience in Tokyo. If your idea of a fun evening is being in a cell handcuffed, well, this longtime favorite, prison themed eatery is for you. Game maker Capcom's official watering hole serves up food and drinks inspired by its iconic video games, such as Resident Evil, Ace Attorney and Monster Hunter. 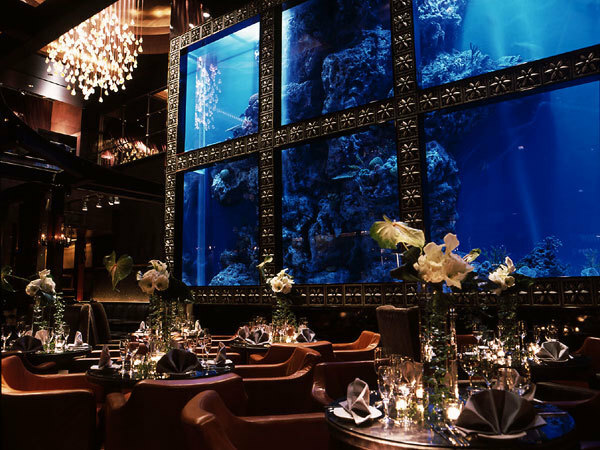 Luxis is a luxurious "aqua bar and restaurant." 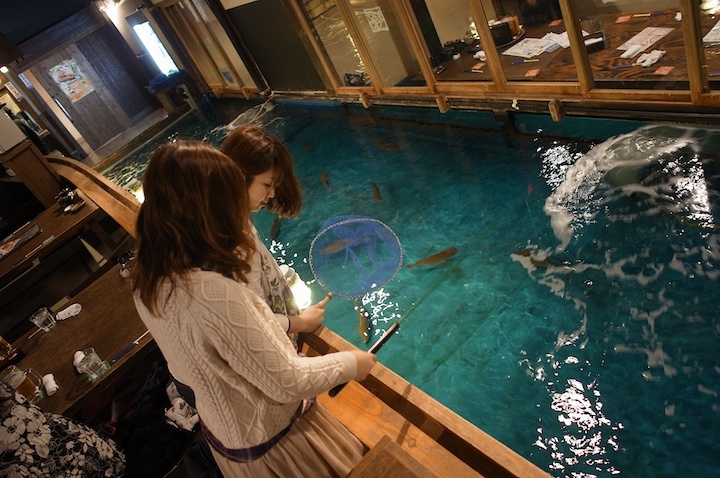 It has an enormous fish tank, and you can apparently see sharks and sea turtles. Total Bond villain hideout. Make no mistake, this is a maid cafe. But, it's a maid cafe that's part Mario and all digital wonderland. Maids jump and punch the boxes that hang from the ceiling, and there are 2D pixelated mini-maids on the walls. Silent. Deadly. Serving you food. Ninja Akasaka is the ninja restaurant. Just don't throw your food, even if it looks like a shuriken. Here's an eatery and bar for train nerds. Besides carriage seats and other rail items, there are model trains, too. Besides Artnia's gift shop, there's a cafe that serves Square Enix themed coffee, pancakes, soup, snacks, cocktails and drinks with "potion" names like Elixir, Shiva, Blue Materia, etc. 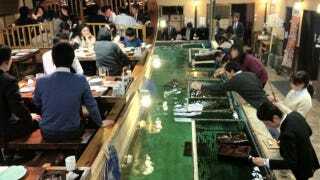 At this restaurant chain, you are seated on a phony boat and you can catch fish in a stocked tank below. Yes, you can catch your dinner! After doing it, your fish is, of course, prepared for you to eat. This restaurant bleeds red! It also serves coffin cake. No wonder Konami has used this establishment to promote Castlevania games. Classic 1960s British television lives on...in Tokyo! This official Thunderbirds cafe is packed with memorabilia, and episodes are continuously shown on loop. "Sengoku" refers to the Waring States Period in Japan, which was marked with centuries of strife and war. Sengoku Buyuuden (or "Sengoku Heroic Exploits") that's that era in an evening out, minus the war bit. 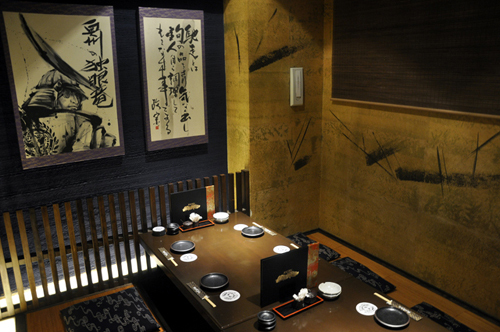 Note that the restaurant, which serves Japanese food, does have English speaking staff. 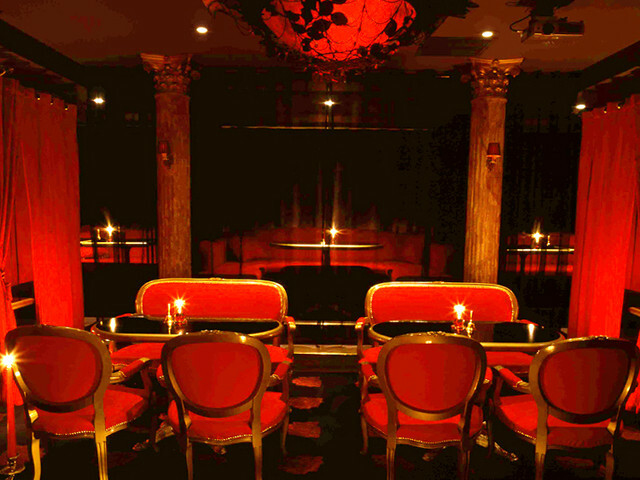 This is more a cabaret than a restaurant, per se. But there are robots, marching bands, and sheer spectacle. Known as "Patty" in the West, Luida is a reoccurring character in Dragon Quest. And in Tokyo, she has her own DQ bar, with drinks and Slime-shaped meat buns. You like meat buns, don't cha? 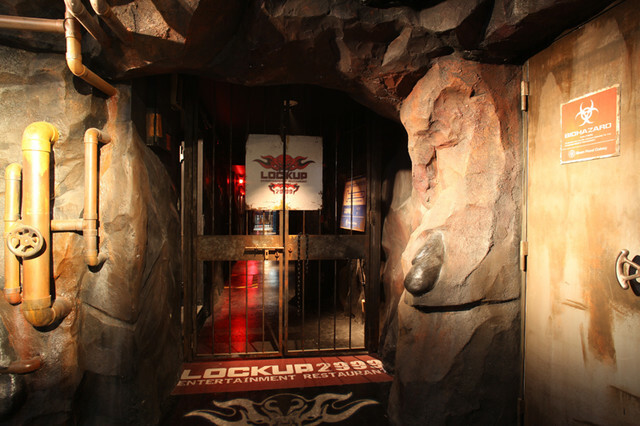 This isn't just a prison themed restaurant. No, it's a prison hospital themed restaurant. Ah, okay. Got it! Self explanatory, but really, there's nothing quite like getting tanked and looking at the stars, no? Have you ever eaten parfait shaped like a Japanese superhero? Well, you can at Kamen Rider The Dinner. 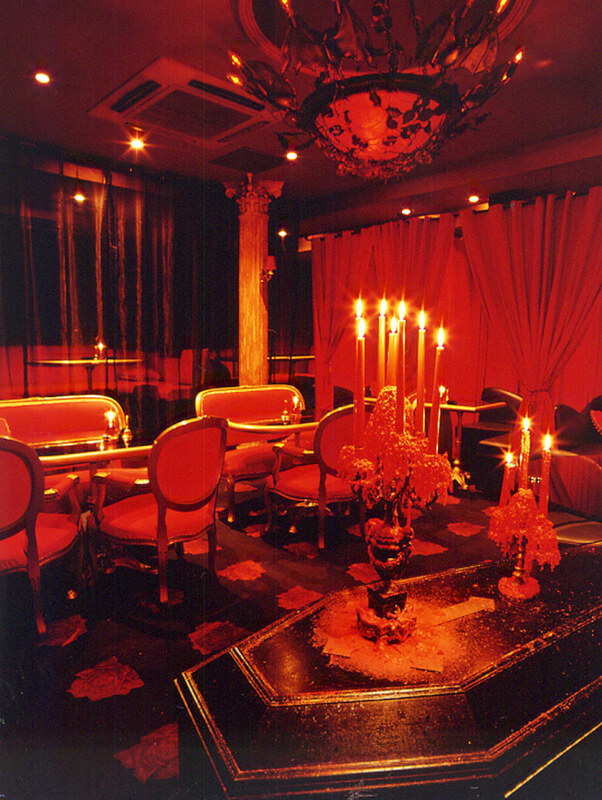 The restaurant is decorated as the secret lair of the evil Shocker group. 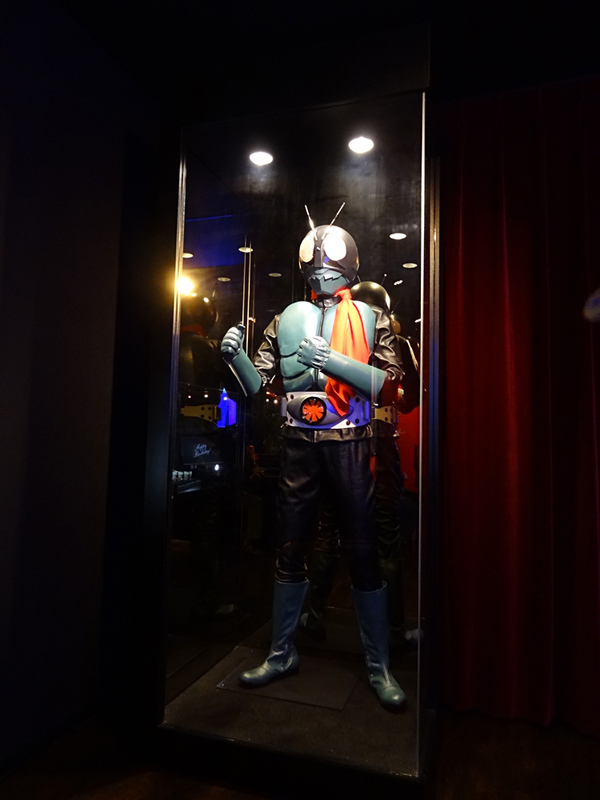 There are also Kamen Rider costumes and bikes on display. Scenes from the book are recreated in this Alice themed restaurant. Even the food screams Alice. Well, not literally!